Spring is just around the corner and is usually followed by sunnier days, warmer weather, and more time outside. However, springtime also means allergy time for millions of adults and children in the U.S. 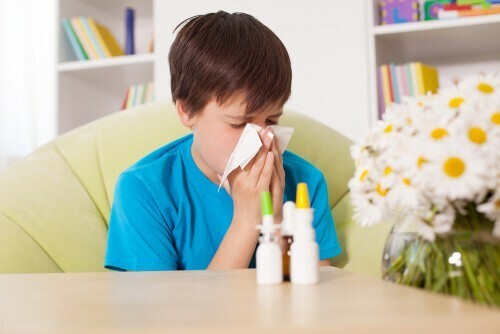 According to the CDC, 19.9 million adults and 5.6 million children suffer from seasonal allergies including hay fever and similar respiratory allergies. As the weather slowly becomes warmer and drier, pollens, and other seasonal allergy triggers are more likely to spread and transfer in the air. Spring is usually the time of year for most communities when seasonal allergies begin to trigger at higher-than-normal rates for individuals with allergies. So what should you be doing to protect yourself from seasonal allergies and prepare for allergy season? Staying inside whenever possible on dry windy days. Following news updates, local TV news, and community updates to scout for high-pollen activity in the air. Close doors at night and during the day to lower the entry of triggers. In addition, make sure to use air conditioning instead of opening the windows. However, when using AC or central heating make sure to frequently clean the filters on these systems. An unclean filtering system can lead to the spread of dust, pollen, and mold when not managed properly. Take off any clothes you’ve worn outside, take as shower, and try to clean thoroughly to remove pollens. Additionally, you’ll want to frequently dust, clean counter tops, and washing bedding in hot water to minimize the spread of allergy triggers. If you are noticing an increase in your allergy symptoms, then it may be time to try over-the-counter medications. Make sure you first consult with your primary care provider before using any over-the-counter medications and double-check that these medicines are safe to use. For the most part, over-the-counter medicines are a safe and effective means for addressing allergy symptoms if patients follow the directions. The types of over-the-counter remedies to consider include nasal sprays, antihistamines, and decongestants. If allergies continue to bother you, then try visiting a nearby urgent care center. Urgent care centers are equipped with the staff and resources to provide allergy symptom relief on the same day of your visit. Additionally, urgent care staff and licensed physicians provide patients with treatment plans and recommendations to help manage symptoms. Don’t let allergy season stifle this spring season and take control of your allergies with these prevention and treatment basics!